Your home is a big investment and protecting that investment doesn't have to cost a lot of time or money. Get a quote or talk to an agent today at 888-206-0565. Your home is likely the biggest asset you’ll ever own. Insuring your home adequately is essential. Every Florida homeowner’s policy is divided into six parts, each with its own coverage limits. This site will introduce you to six different homeowner’s forms as well — four forms designed for homeowners, one form for renters, and one form for condominium or town house owners. We will show you how to choose the proper coverages for your building, contents and personal liability. But homeowner’s insurance isn’t just about insuring the house itself — it’s also about insuring your property inside the house. Many different exclusions and limitations apply to personal property. For example, jewelry has a dollar limit for theft, as well as the exclusion for loss of the stone from the setting. Jewelry is also very difficult to value after the loss. Scheduling jewelry specifically by having it appraised and added to the policy is the insurance industry recommendation for this type of risk — but it’s not the best solution for an antique piece with huge sentimental value, which you have no intention of replacing. If cash won’t make you whole, I don’t recommend scheduling these kinds of jewelry. In this case, you’re far better off putting your special item in a safe deposit box and preventing the loss from happening in the first place. Our homeowners insurance site will attempt to give you the information you need to prevent this type of exclusion and others from hurting you. We will also cover the many types of exclusions and limitations in a home-owner’s policy and ways to work around them. For example, a homeowner’s policy contains an absolute business exclusion, which means that if you frequently work from home and occasionally have UPS deliver a business-related package to your home, and if that delivery person slips on your icy driveway, is injured, and sues you, your homeowner’s policy will not defend you, nor will it pay any judgment against you. Why? Because the injury was business-related. But you don’t have to live with this gap: The solution to this particular problem is to add a $20-per-year endorsement to the policy that covers that type of claim. 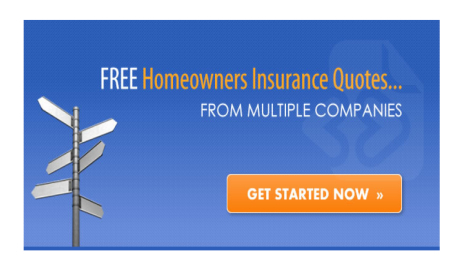 This site will also cover flood insurance and whether you’re a candidate for it. Here’s a hint: You probably are — even if you don’t live anywhere near a body of water; but you’re probably not if your lower-level floor is below ground level on all four sides. Condominium and town house owners have special insurance needs and have a homeowner’s policy form created just for those needs. If you buy the standard condominium unit owner policy off the shelf with no customization and no special endorsements, odds are, if you have any kind of claim, you’ll be sorely disappointed. This site will alert you to what the pitfalls are and give you my recommendations on how to circumvent each of them so you don’t get hurt. If you own a town house or condominium — or even a vacation timeshare — you’ll benefit greatly from our site. We will wrap up the part on homeowner’s insurance with tips on collecting what you deserve for homeowner’s claims. Florida First Insurance will give you the steps to take to get a great structural claim settlement. And if you have a personal property loss, you’ll benefit from my tips for getting paid top dollar for your claim.